BitDefender Rescue CD is a BitDefender remastered Knoppix distribution, which integrates the latest BitDefender for Linux security solution into the GNU/Linux Knoppix Live CD, offering a desktop antivirus which can scan and disinfect existing hard drives (including Windows NTFS partitions). At the same time, BitDefender Rescue CD can be used to restore your valuable data when you cannot boot Windows. The best thing in this rescue CD is, when you boot using this CD and connects to Internet, it can update the virus definition. When you boot your computer with BitDefender Rescue CD, you will see a menu to choose the language or to boot computer from hard drive. 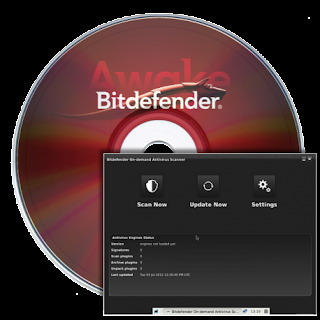 Here choose BitDefender Rescue CD together with language.